With over 20 years experience as a high level competitive athlete and over 8 years as a coach, I have the personal expertise to guide riders with experience based knowledge combined with an integrative precision based scientific training. I have helped numerous athletes in multiple cycling disciplines achieve their goals. I would love to be a part of helping you achieve yours. I have raced at some of the highest levels of the sport of cycling as well as building and managing a UCI trade team from the ground up. I not only understand the scientific principles of training on multiple levels but understand that cycling is an integrative approach with multiple facets from tactics to nutrition to daily life stress. I have helped guide my athletes through these hurdles to become the best athletes they are capable of in the spectrum of their lives. Professional Team Experience: Rode on multiple Professional cycling teams competing at the highest level of racing in the US. Teams include, Team Lipton where I was teammates with Olympic Gold Medalist, Kristin Armstrong. Team Aarons, Team Tibco, and Pepper Palace Pro cycling. 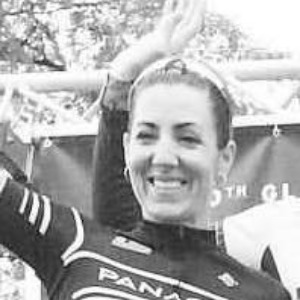 Two Time Masters World Champion, Multiple NRC wins including winning: Air Force Cycling Classic, Glencoe Grand Prix, Chris Thater Memorial classic, and overall winner at Tour of America's Dairyland. Success. Coach Sarah Fader has been notified of your message.